The Christmas season is upon us! Due to their Orthodox calendar, an Ethiopian Christmas is celebrated on the US January 7. Gift exchanges are minimal in Ethiopia, but children may receive small gifts such as new clothing. 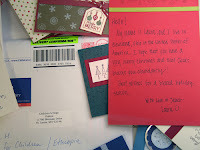 Thanks to a young couple's Bible study in Cleveland, OH, children at Children's Hope transition home, House of Hope, and orphanages CHI works within will be receiving handmade Christmas cards. "The cards are lovely and the fact that they have been prayed over makes them even more special and warms my heart, as I’m sure it will for the children," says Program Director Sharon Turner. How do you say Merry Christmas in Amharic? 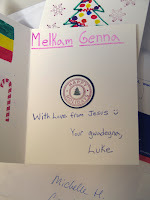 Melkam Genna. 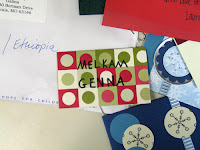 Thank you and melkam genna to card makers Anna Heinz and friends for making the children's Christmas a little brighter!